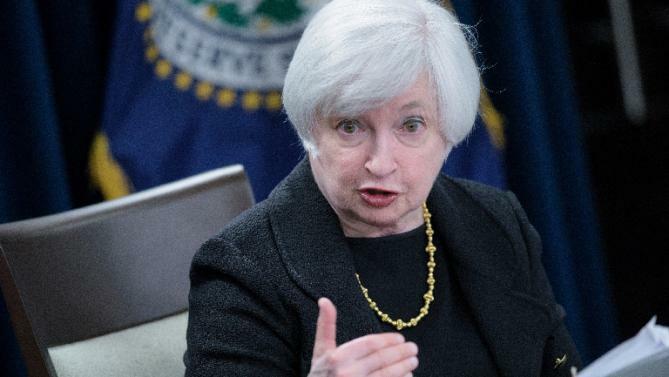 WASHINGTON — A voting member of the Federal Reserve cautioned Friday that the Fed has yet to decide when to raise interest rates even though it issued a statement this week that said a rate hike was possible in December. John Williams, president of the Fed’s San Francisco regional bank, said he wants to study more economic data in coming weeks before deciding whether the economy is strong enough for the Fed to raise its key short-term rate from a record low, where it’s been for seven years. Williams said in an interview with The Associated Press that the Fed chose to mention in its latest policy statement that it could decide on a rate hike at its next meeting to avoid surprising investors in case it did raise rates then. “There was a lot of commentary I heard (after the previous meeting) that the Fed is going to be on hold until next year,” Williams said. Williams said that between now and the meeting on Dec. 15-16, he and other policymakers will be seeking to determine whether the Fed is moving closer to its dual goals of maximizing employment and keeping inflation at about 2 percent a year. The Fed has essentially achieved its employment goal, with steady job growth and an unemployment rate at a seven-year low of 5.1 percent. But inflation has moved farther below the Fed’s target, reflecting a renewed drop in energy prices and further strength in the dollar, which depresses import prices. Williams said that he still thinks falling energy prices and a rising dollar are temporary factors that will start to fade. And he suggested that prices will start to rise as a stronger job market begins to generate higher pay. Also on Friday, Jeffrey Lacker, president of the Richmond Fed, issued a statement explaining why he dissented from Wednesday’s 9-1 decision to leave the Fed’s target for short-term rates near zero. Lacker had also dissented at the Fed’s September meeting, when he favored an immediate rate hike. Lacker said that he thought then that global economic pressures, which had rocked the markets, wouldn’t harm the U.S. economy and that his view had proved correct. At this week’s meeting, the Fed removed language it had inserted in its September statement expressing concern that global weakness could hinder U.S. growth and further depress inflation. Until China’s surprise devaluation of its currency on Aug. 11 sent financial markets into a tailspin, the Fed had been expected to begin raising rates in September. In his interview with the AP, Williams said the Fed had been correct to note these developments in its September statement. But since then, he said, markets have stabilized. Lacker’s dissent and recent comments from two Fed board members questioning the link between tighter job markets and inflation caused some Fed watchers to wonder whether Chair Janet Yellen was struggling to forge a consensus on when to begin raising rates. “The Fed taking this first step obviously gets a lot of attention – I understand that,” Williams said. Williams said the more important issue will be the pace of increases after the first hike. He said there’s agreement within the Fed’s policymaking committee that future increases will occur at a very gradual pace that will leave rates low well into the future. After the interview, Williams presented a research paper at the Brookings Institution analyzing the factors that influence what’s called the equilibrium real interest rate. This is where the Fed’s benchmark short-term rate would be to be consistent with stable inflation and full employment. In the paper, Williams and his co-author, Thomas Laubach, the Fed’s director of monetary affairs, argue that this rate has been declining. They attribute much of it to a falling economic growth rate. The paper asserts that since 2010, this rate has been at or below zero. During this time, the Fed has kept its target for its key short-term rate between zero and 0.25 percent.